The error happens despite the fact that the system is connected to Internet, and the original Windows which you’re upgraded from is legally purchased and genuine. The cause of the activation failure error is most likely due to heavy load or network congestion on Microsoft activation server. Resolution to make Windows 10 activates itself is simple. Leave the system running and remains online for a few moments, sometimes may be as long as a few days, and it should become activated automatically. Microsoft Account (MSA) is not required for activation. 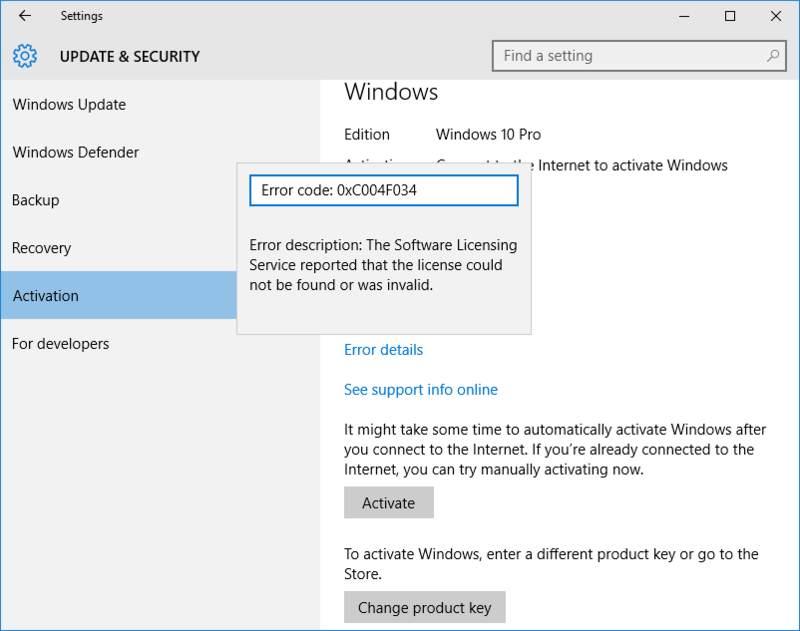 You must upgrade to Windows 10 and activated in Windows 10 to ensure that your system’s hardware ID is properly registered with Microsoft activation server that will allow you to reinstall Windows 10 without having to enter product key. Go to Settings -> Update & Security -> Activation , then click or tap of Activate button repetitively. Some users reported that it requires hundreds of times.